Figure 43. Buchanan hypsometer - this instrument is meant to determine altitude by relating the temperature of the boiling point of water to altitude. As altitude increases, the boiling point decreases. 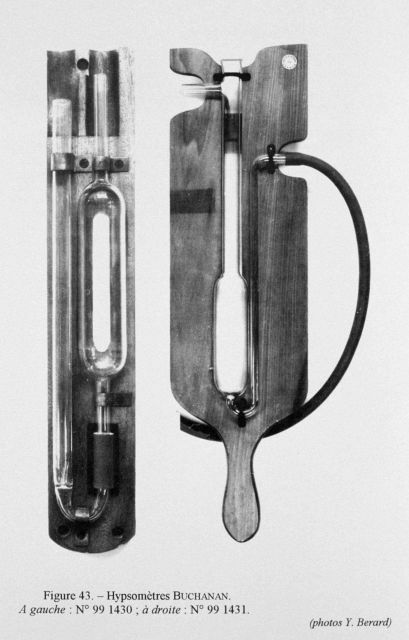 The instrument shown uses a method developed by Regnault and was used by John Young Buchanan in 1899.